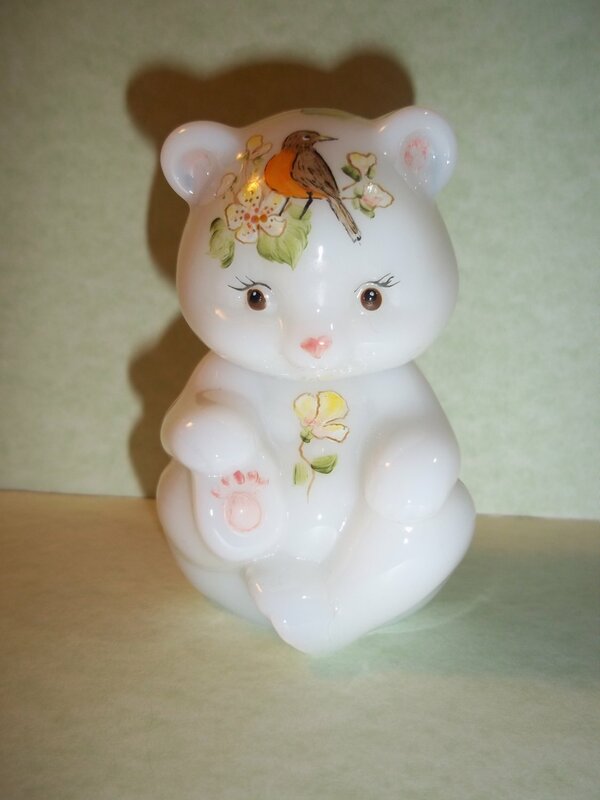 Here's an adorable Fenton sitting bear that was offered in limited numbers as an FAGCA Exclusive (Fenton Art Glass Collector's of America) in 2019. It is made of opal white glass and handpainted with a spring robin on the front and back as well as abundant spring flowers. It measures approximately 3.5" tall and is in excellent condition with no chips, cracks or damage. It is signed by Fenton artist T.G. Mendenhall, dated 2019 and limited to 21 pieces made. This charming bear would be a great gift for your favorite bear lover or Fenton collector!